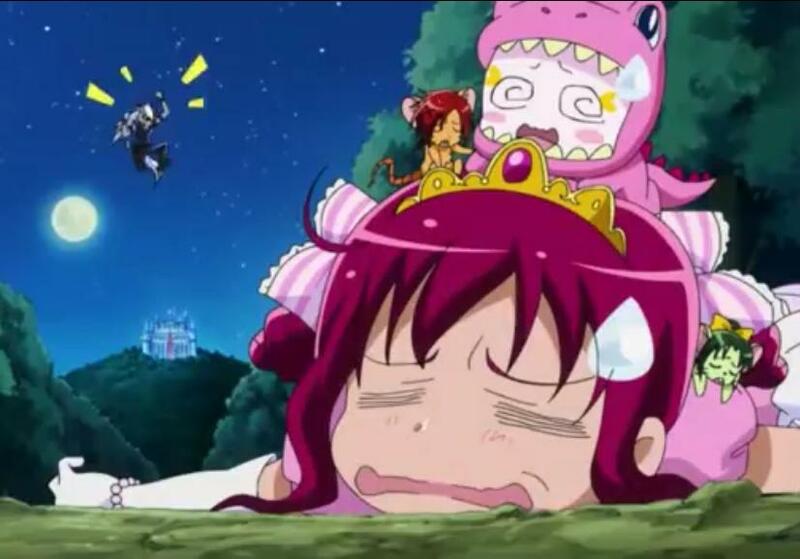 Smile Precure is a lot of fun to watch, and at first glance, seems to be for a rather younger audience than some of the other Precure shows, like Heartcatch Precure and Suite Precure. This is a bit deceptive though. 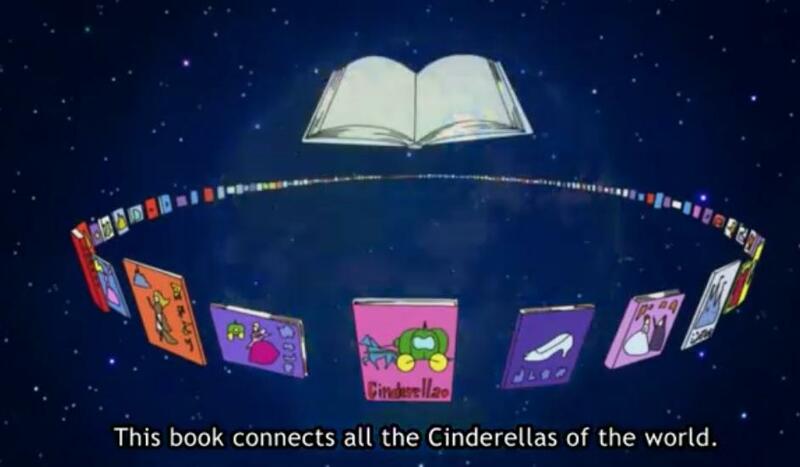 Like all of the Precure shows, it is rich in metaphysics and moral wisdom. It is quite wonderful show to watch for those of us reclaiming our innocence. The show starts off with a Middle School transfer student, Hoshizora Miyuki, walking to new school. 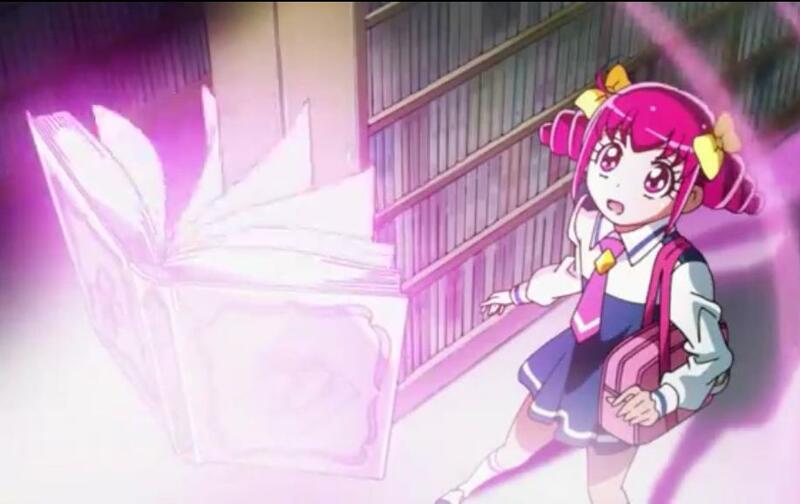 On the way to her new school, she meets Candy, who comes flying out of story book at her. We later learn that Candy is a fairy from Marchenland, which is the land of fairy tales. 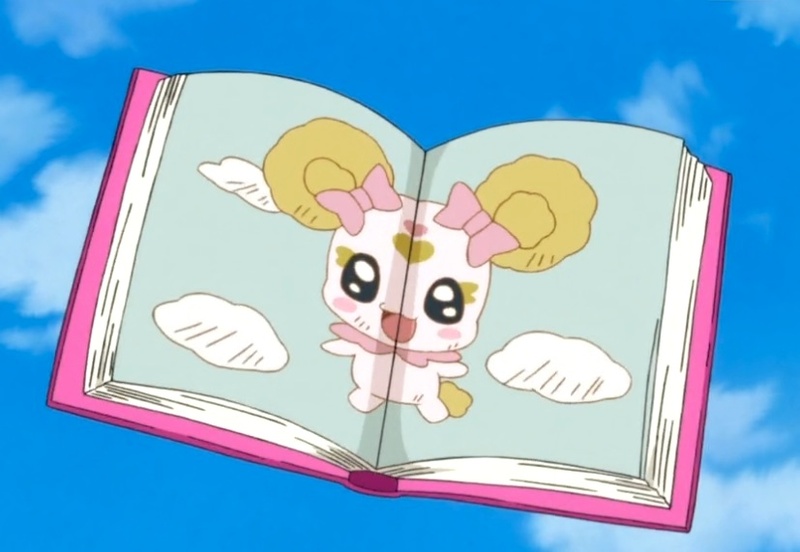 We also learn that Miyuki-chan really loves fairy tales, and likes them in particular because they always have happy endings. This turns into the premise for the show, in that the Forces of Darkness in this show are the Bad Enders, who are trying to turn the world towards a Bad Ending. 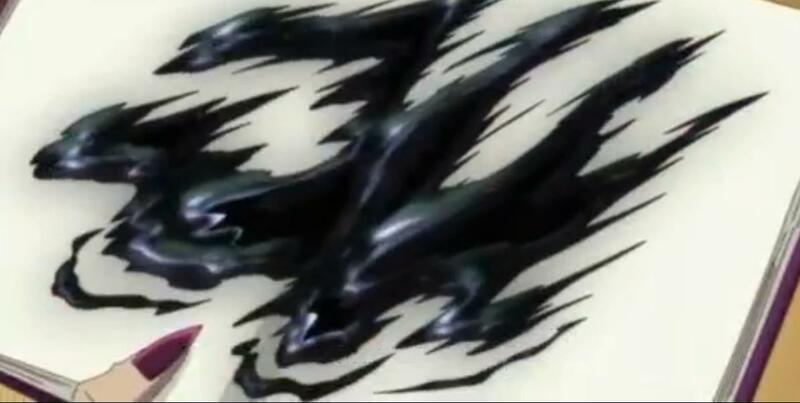 It is the job of the Precures to restore the world to a Happy Ending. 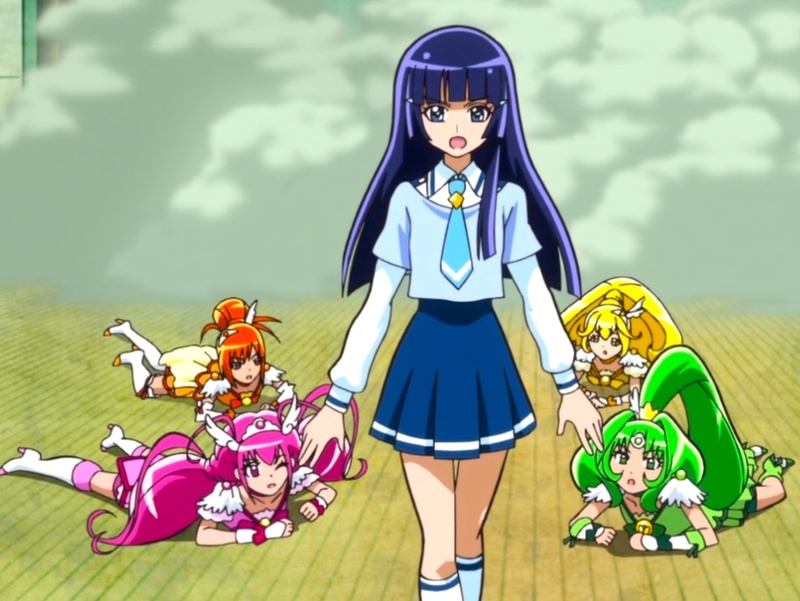 To a Western cynical mind, this may seem like Smile Precure is “fluffy” and light. To us here at Musume Senshi, this is a very profound and relevant theme. To begin with, fairy tales have deep metaphysical meaning and speak to Universal Truth (see The Symbolism of Fairy Tales). The Happy Endings that are a part of fairy tales do not just speak to the Universal Truth of ultimate reunion with the Divine, but they also speak to what we need to hold on to in order to maintain our innocence. Happy Endings are real and are inevitable. The Modern world tries to tell us otherwise. It tells us that a belief in fairy tales is naive, and that we need to accept a loss of innocence as we grow up. 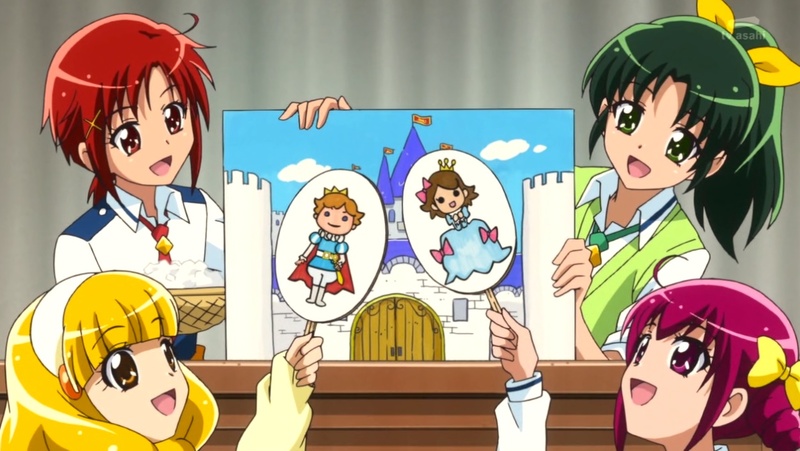 Interestingly enough, this is just the lie that the Bad Enders in Smile Precure try to get everyone to believe. The tactic of the Bad Enders is to smear black ink on the blank story book pages. They then create an Akanbe out of a nearby object. The word, Akanbe, in Japanese, is a rude face made by children, pulling down their eyes and sticking out their tongues….and this is exactly what the Akanbe look like. This is also quite symbolic for what the Modern world teaches us to do, deface beautiful things and make rude faces! When the Bad Ender smears black ink on the story book, all of the people around fall down and become depressed, thinking that there is no point to all of their good efforts. Isn’t that just what happens when we become cynical. It is that cynicism that creates the Bad Ending, and is what gives energy to the Forces of Darkness. 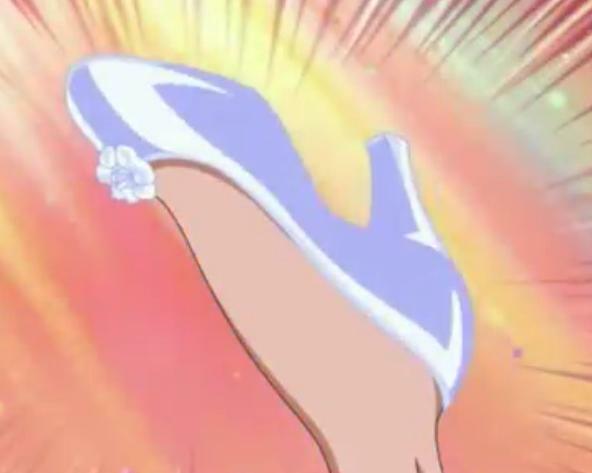 In order to defeat the Akanbe, the Precures must first realize the value of the efforts that the Bad Enders are mocking! 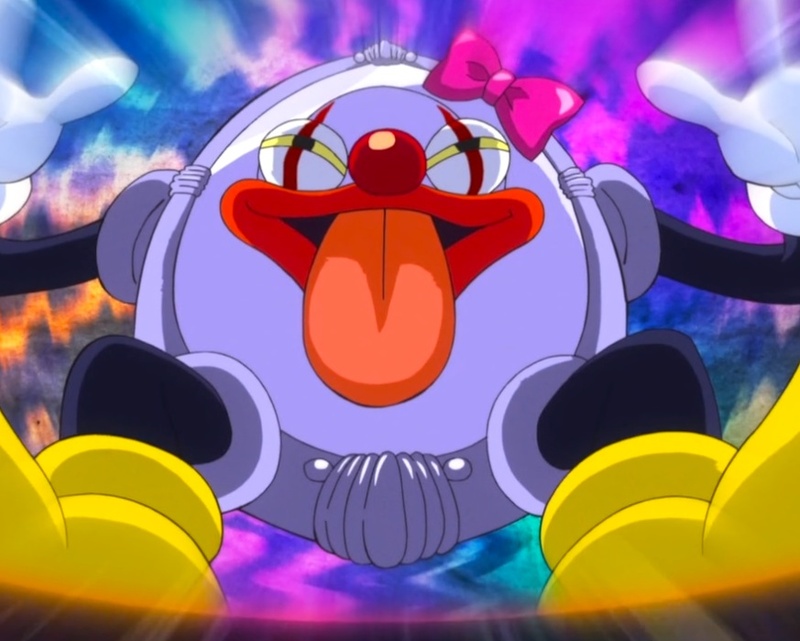 In addition to all of that, Smile Precure is quite bright and happy, with lively happy music at the beginning and end of the show. This is a wonderful show to watch for us trying to restore our innocence.